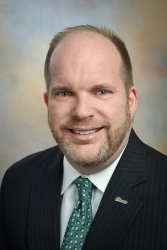 Hamilton, NJ, September 06, 2018 --(PR.com)-- John Heft, senior vice president in the National Environmental and Construction Professional Liability Practice at RT New Day, will explore the ways for “Protecting Against Environmental Loss and the Challenges Impacting Commercial Real Estate” at CRE.Converge 2018 hosted by NAIOP (the Commercial Real Estate Development Association) from October 15 - 17 at the Washington Marriott Wardman Park in Washington, DC. Scheduled for October 16, Heft’s presentation will examine the risk management and pollution liability issues surrounding today’s real estate transactions and the development of environmentally distressed/contaminated real estate. “Environmental contamination is a huge liability and a potential deal breaker for commercial real estate developers and investors,” explains Heft. “Investors commonly walk from deals impacted by hazardous conditions. The pitfalls range from remediation to litigation. With nearly three decades of environmental underwriting experience, Heft is an expert at developing risk management solutions with major brokerage firms, insurance carriers and environmental consultants representing the chemical, petrochemical, energy, manufacturing, commercial and habitational real estate, universities and healthcare fields. For more information on CRE.Converge 2018 please visit www.naiop.org/en/Attend/Corporate-Event-List/Conferences/2018-CRE-Converge or contact RT New Day (newday.rtspecialty.com) at 609-298-3516.